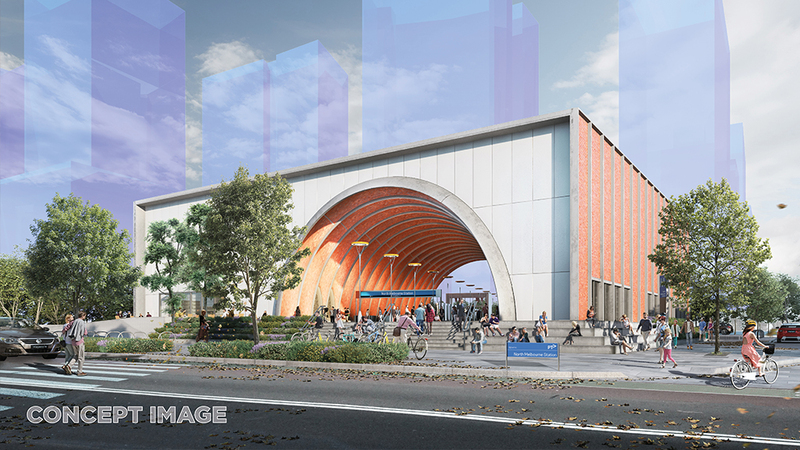 Mason Developments and Red Earth Developments have teamed up with Chamberlain Architects to deliver Leveson Place, a series of industrial-inspired townhomes, now under construction in the heart of North Melbourne. 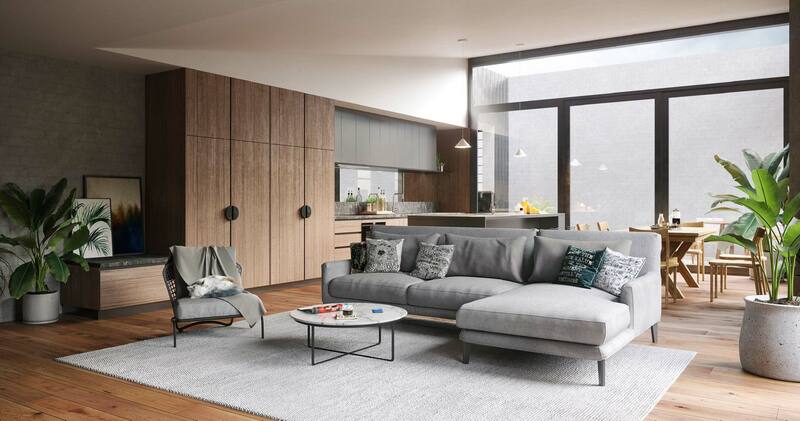 Comprising 10 three-storey residences, these two, three & four bedroom townhouses provide a contemporary take on North Melbourne’s industrial vernacular through the use of red brick, timber panelling and black steel. Leveson Place represents the third collaboration between Mason Developments and Red Earth Developments in North Melbourne, developed through a unified vision and capitalising on 30 years of combined development experience. Chamberlain Architects were engaged due to a strong focus on design and interest in meaningful collaboration with clients and builders. The practice brings a passion for materiality and the craft of architecture to Leveson Place, building on its reputation for detailing and the fine resolution of its designs. Chamberlain Architects have conceived Leveson Place as a highly functional and visually appealing development, drawing inspiration from the industrial character of brick warehouses and saw-toothed roofs which are prevalent. 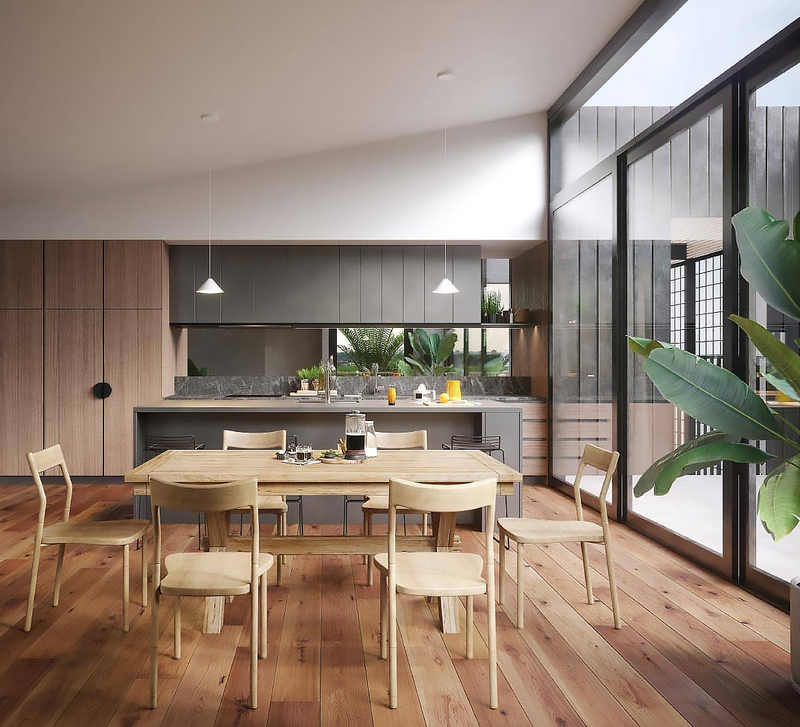 Featuring a robust palette of plywood, terrazzo tile and rustic Australian native timber, the townhomes have been designed to be bright and spacious with living areas flowing seamlessly from kitchen to balcony. According to the project team, this level of design consideration and attention to detail will set a new standard for urban village living in North Melbourne, placing Leveson Place at the forefront of the revival of the double-fronted terrace home. Set in Leveson Street Village and within an area that has seen strong development activity in recent years, Leveson Place is conveniently located just a short stroll away from Errol Street and its abundance of cafes, restaurants and other amenities. When it comes to public transport Leveson Place is well served by trams which provide quick and direct access to Queen Victoria Market and the Melbourne CBD, while the new North Melbourne Station, currently under construction as part of the Melbourne Metro Tunnel project will be located just minutes away.